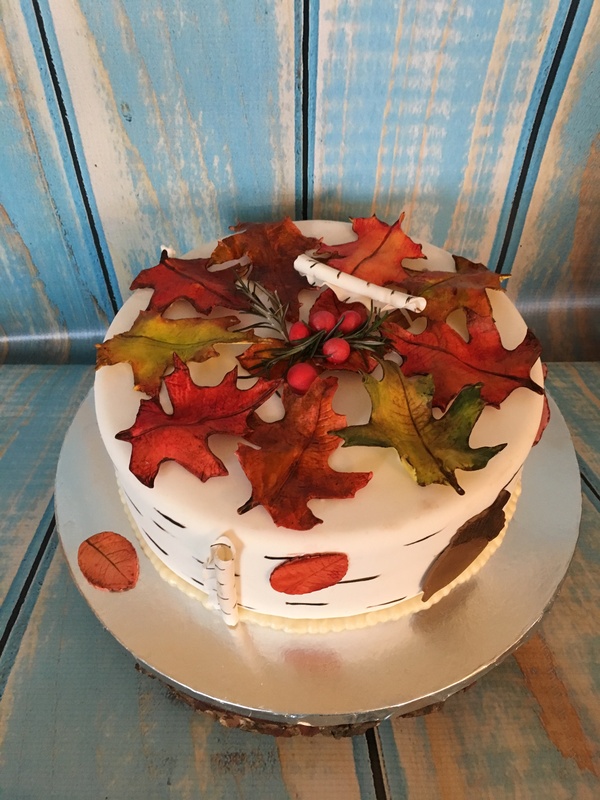 A perfect cake for Fall here in New England. I made a chocolate chocolate-chip cake with vanilla buttercream frosting, covered in fondant and decorated with handmade gum paste leaves and “peeling” birch bark. I had so much fun painting and petal dusting the leaves!